Last year in preparation for St. Patrick’s Day, I corned my first beef brisket. It was a smashing success, but the loaf of rye I made to sandwich the leftovers failed miserably. It took an entire year to return to this challenge, but when Caroline at Grow It , Cook It, Can It suggested baking bread for Cook It, 2012, I knew this was the loaf for me. So this year, with the beef corning in the fridge, I tried a new recipe for rye bread that turned out just as I hoped. After scouring my many cookbooks, I settled on this recipe from the Cook’s Illustrated Cookbook. 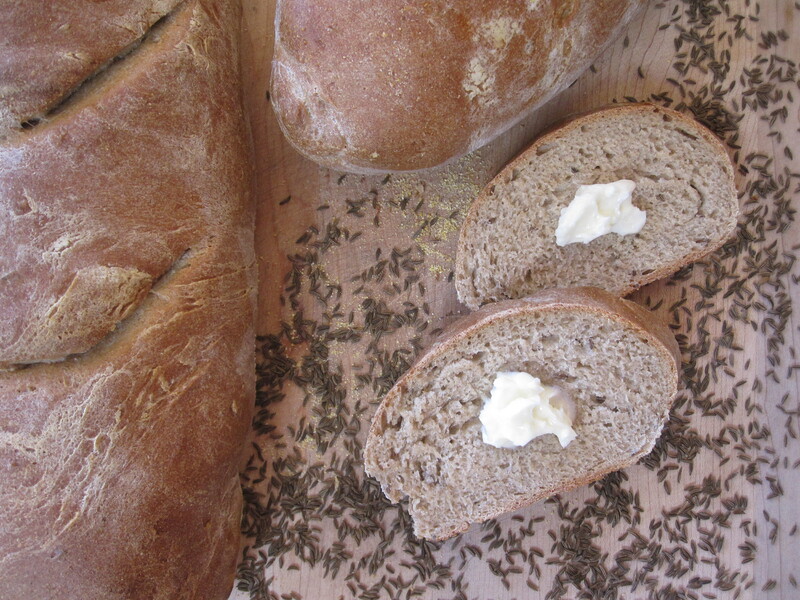 This bread is moist and chewy with a pronounced flavor of rye and caraway. 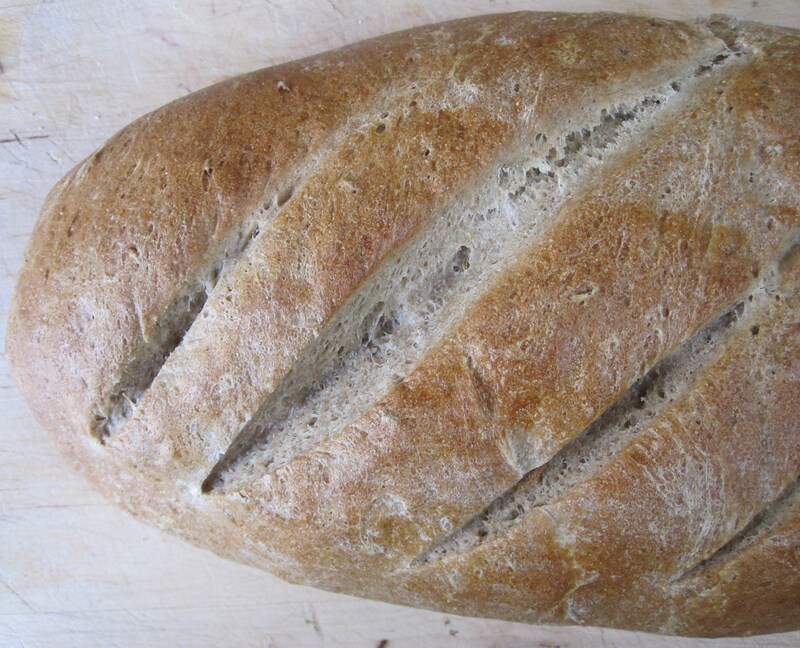 It includes two types of flour in perfect proportion to achieve the signature flavor of the rye and all purpose flour to supply the required gluten and keep it light. My family loved these loaves so much that they were devoured before I had a chance to stick one in the freezer for this upcoming weekend. This weekend, when I bake another batch, I will roll the dough into shorter loaves to make larger slices more appropriate for sandwiches. I also plan to toss in a cup of minced onion to flavor the bread. My first Reuban Sandwich was a long time coming. You see, I am still a bit of a recovering vegetarian. From the number of meaty posts of late, I can see that my recovery is going well. There is so much good, humanely raised meat to be eaten, but still I sometimes hesitate and by no means eat it daily. So I was reluctant to sign on to the meat making challenge of the year, Charcutepalooza. Though, my curiosity and drive to learn about this art of which I know so little forced me to sign on. My first challenge- brining. Brining is so easy, it is hard for me to think of it as true charcuterie. It involves soaking meat, or other foods, in a salty solution for a time and then eating directly, or cooking. The brine infuses the meat with flavor and moisture, transforming an ordinary cut of meat into something special. The Saint Patrick’s Day staple of Corned Beef is a perfect example. An ordinary brisket is soaked in a spiced brine and a week later emerges as a completely different beast, begging for cabbage and potatoes or to be made into a Reuban Sandwich. Saveur magazine featured a recipe in their last issue for Corned Beef. I omitted the pink salt (sodium nitrate), because I did not have that on hand. Because of that, the brisket did not have the signature pink color of the supermarket corned beef, but the flavor did not suffer. This recipe is definitely a keeper. My husband commented that he didn’t think that he could bring himself to eat supermarket corned beef again. We agreed that the natural brown color of the meat was actually more appetizing than the artificial looking pink that we tend to associate with corned beef. 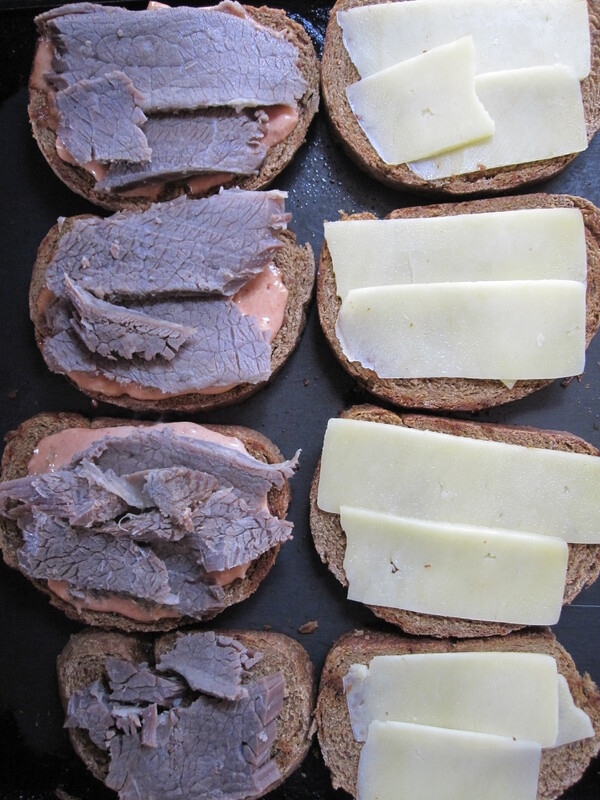 We loved the meal, but what I was really looking forward to was the leftovers, made into homemade Reuban Sandwiches. For weeks I have craved a Reuban Sandwich. Perhaps this is a normal post-St. Paddy’s Day leftover item, but for me it is my first. Why I regularly crave foods I have never eaten, I do not know. I do know the sandwich was delicious, and I will make it again. 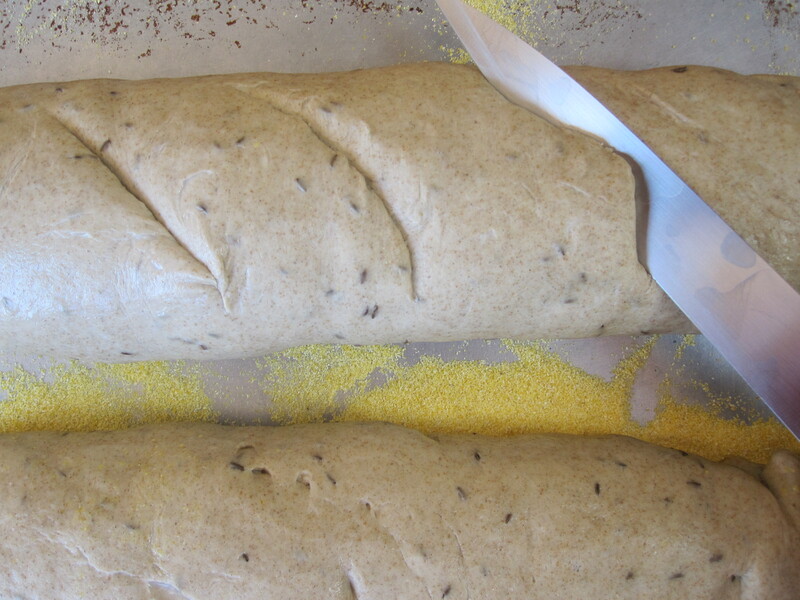 Early in the morning, I mixed up dark rye bread dough, using a recipe from Bernard Clayton’s The Complete Book of Breads. The flavor was well developed, but the dough never rose properly despite adding extra hours onto the recommended rise time. I intended to share that recipe as well, but I will spare you the disappointment. Luckily, the bread was still very enjoyable so I used it anyway. It worked fine, but the sandwiches were small. Putting together a Reuban is easy. Heat up the griddle, grease it, and toast one side of your bread. 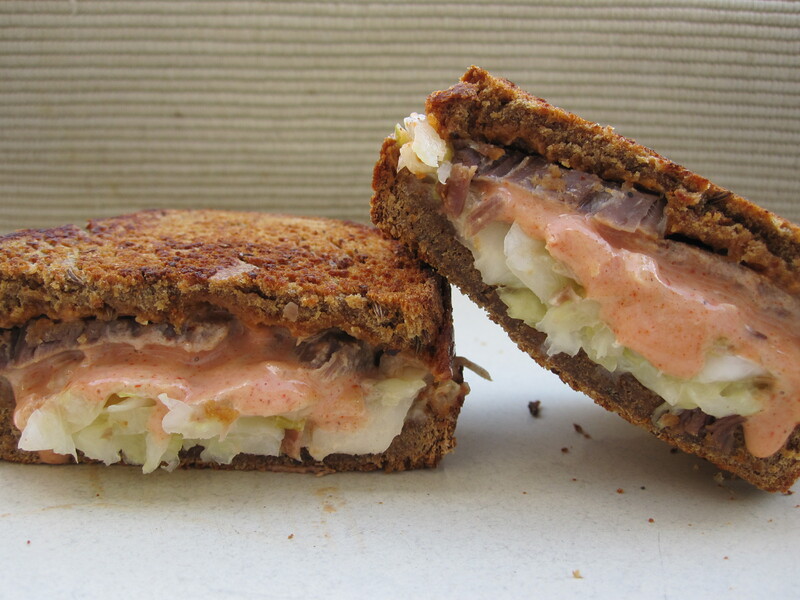 Flip the bread and top one side with Russian dressing and corned beef and one side with swiss cheese (or I used Irish cheddar). Top the meat with a pile of sauerkraut. Flip the cheesy side onto the meaty side. Press down with a heavy pan until sandwich is heated through and adheres to itself. Eat and enjoy! And so a new tradition is born, I can see many years of homemade corned beef and Reuban sandwiches in our future. Even the kids have signed on, minus the sauerkraut. 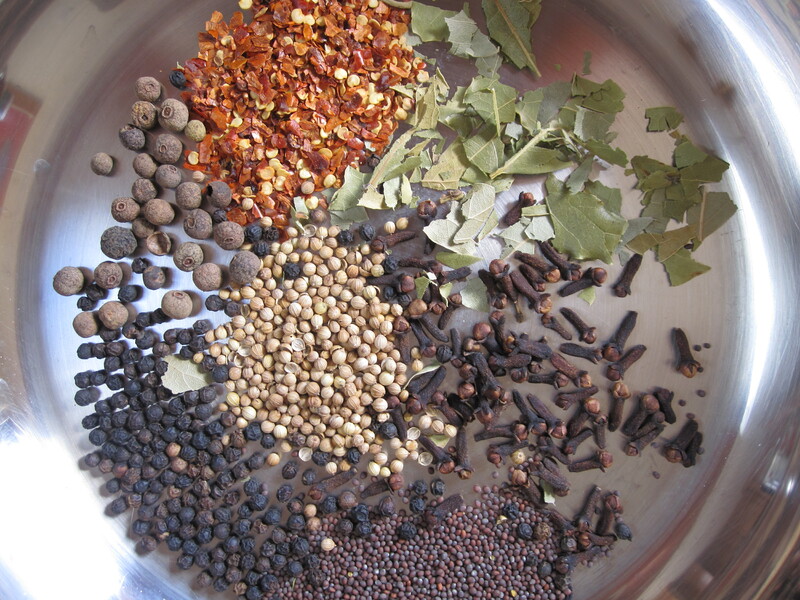 Toast the spices in a skillet over medium heat until fragrant. Heat 8 cups of water, sugar, and salt until sugar and salt dissolve. Refrigerate until cool. Combine with 3/4 of the spices (reserve the rest for cooking the brisket) and pour over beef in a large container. Weigh meat down with a plate so that it remains submerged. Cover and refrigerate for 5-7 days. Drain and rinse meat. Place meat in a large pot with reserved spices and cover with water. Bring to a boil and then simmer for 1 – 2 hours or until meat is tender. Remove from water and slice thinly. 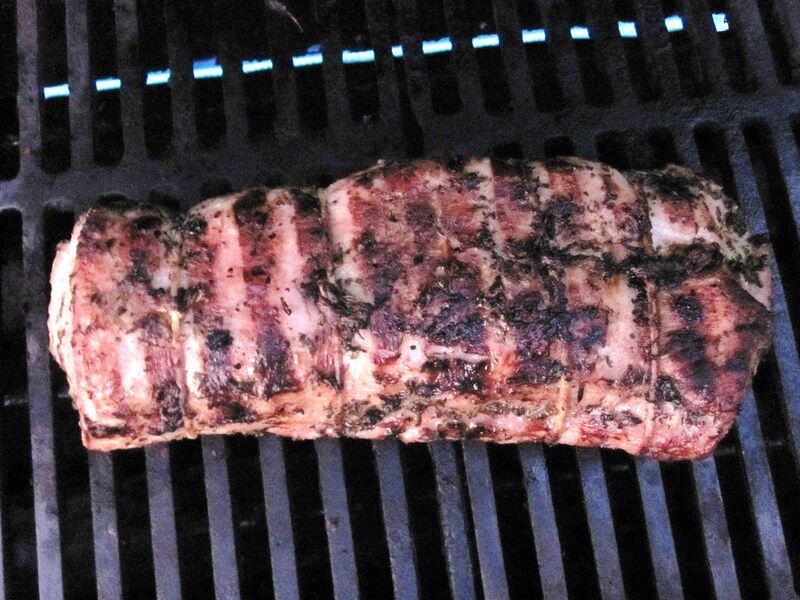 Serve with potatoes and boiled cabbage, or make it up into a Reuban Sandwich!